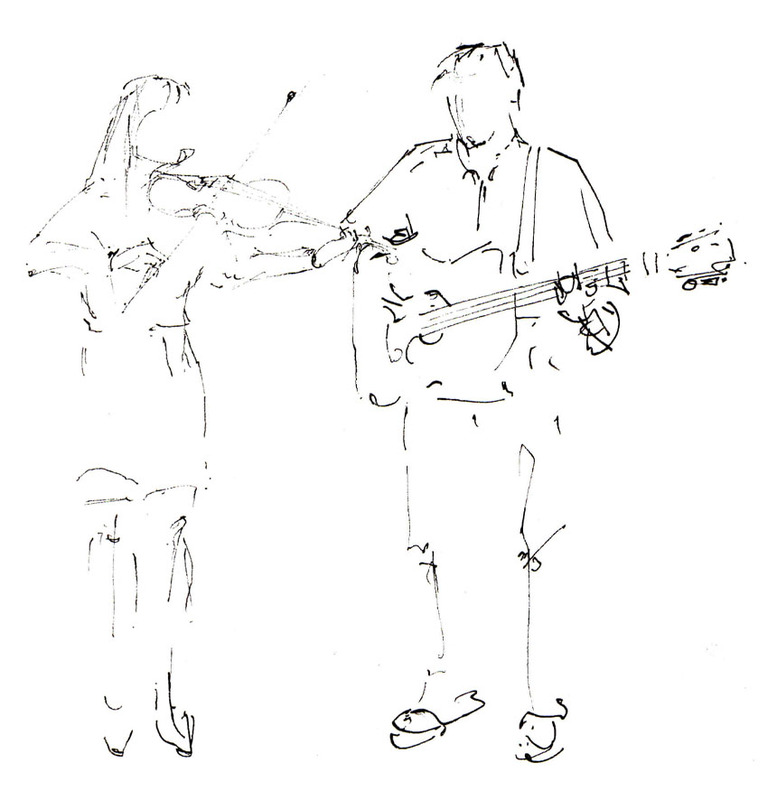 Olion Byw are Lucy Rivers and Dan Lawrence and combine fiddle, guitar, mandolin and voice. Their fresh and exciting arrangements of traditional Welsh tunes and songs are interspersed with original compositions, all drawing on their love of roots, folk and world music. Since forming in 2010 they have played at numerous festivals and folk nights including; Assembly rooms Presteign, The Blue Sky Cafe Bangor, Abergavenny Food Festival, Gower folk festival, Gwyl Tegeingl, Pontardawe Folk festival, Fishguard folk festival, Eisteddfod Genedlaethol, Halfpenny folk club, Chapter Arts Centre and Cwpwrdd Nansi. Their first album Hen Bethau Newydd 2012 can often be heard on Radio Wales and Radio Cymru and they have just released their new album Mudo/Migrating February 2014! Lucy (from Abergavenny) and Dan (from Aberystwyth) met in Cardiff twelve years ago whilst working on theatre productions. They still are involved in this field and have collaborated on several productions together. Lucy runs her own theatre production company, Gagglebabble, and Dan runs his own recording studio, both based in Cardiff. Olion Byw have recently come back from an inspiring trip to West Bengal with the company Banglanatak, where they collaborated with musicians from Kolkata and played at Fakir Utsav festival in Gorbhanga village, alongside some incredible Baul and fakir musicians.